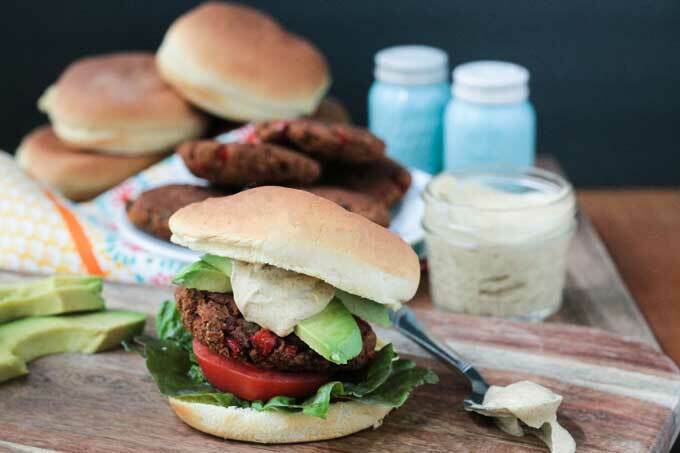 Taco Burger – all the flavors of your favorite taco inside a hearty veggie burger. Easy to make. Vegan and Gluten Free. Happy Taco Tuesday! Or is it Burger Night? Whichever your heart desires, I’ve got you covered today! 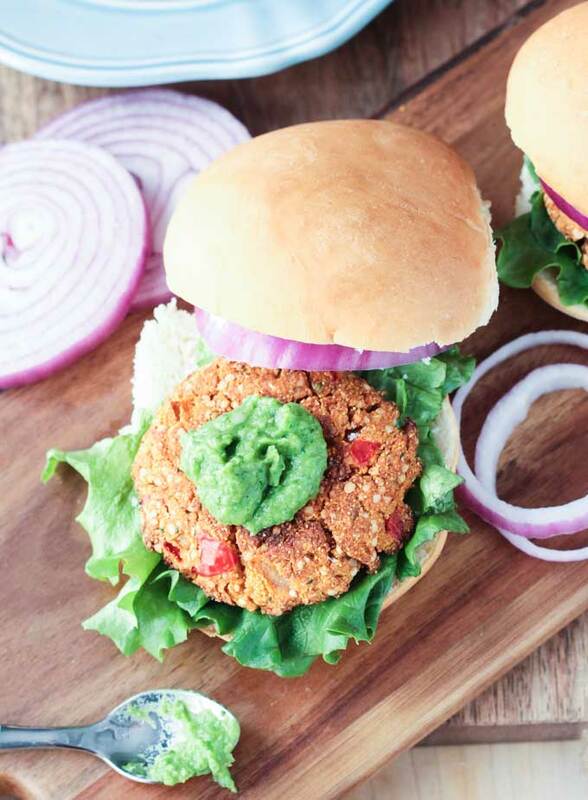 This vegan Taco Burger satisfies your craving for a hearty burger with all the flavors of a classic taco. So easy to make, Taco Tuesday might just become Taco Burger Night from here on out. These taco burgers made my house smell amazing as they were cooking! When my son came home from school the first day I made these he asked, “Are we having tacos?” Sort of, buddy. He was not disappointed! Since these taco burgers are baked, instead of pan fried, the majority of time it takes to make them is hands-off. And baking instead of frying means we can make them oil-free! And you know what makes the perfect accompaniment to Taco Burgers? Chips and salsa! Any excuse to gobble down more chips and salsa is a win in my book! Along with lettuce, tomato and avocado (taco staples, right?) I slathered on some of my Creamy Cumin Ranch Dressing and, wow, was it the perfect addition to this Taco Burger! I originally created this southwest inspired ranch dressing to drizzle on my Black Bean Taco Salad, so naturally the flavors work really well with this burger, too. And if you are following me on Instagram then you know because of this post that tortilla chips dipped in creamy cumin ranch dressing is also a stellar idea! 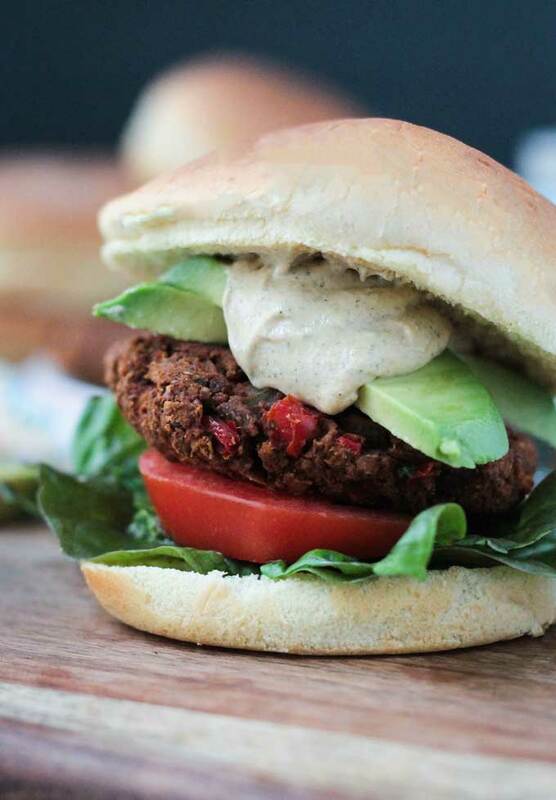 Let’s get to the good stuff – the recipe for this amazing Taco Burger! I hope you love it as much as we do. If you try it, please come back and leave me a comment below with your feedback and star rating. You can also find me on social media. Be sure to tag @veggie_inspired and #veggieinspired so I’m sure to see it! Enjoy! 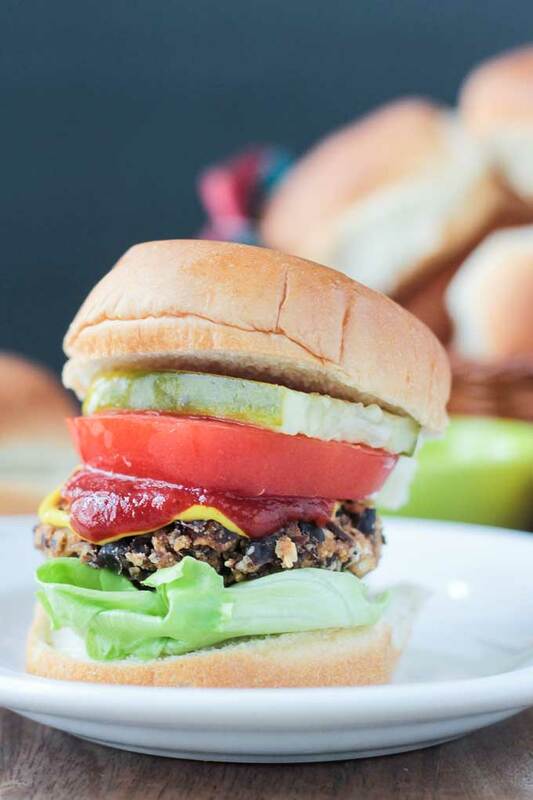 Taco Tuesday meets Burger Night with these hearty veggie burgers flavored with your favorite classic taco seasonings. In a small skillet over medium heat, heat the veggie broth or water. Add the bell pepper, onion and garlic and sauté for 5-6 minutes until softened. Meanwhile, pulse the walnuts in the bowl of a food processor until they resemble a fine crumb. Add the pinto beans, lentils, cilantro, chili powder, salt, cumin, oregano, smoked paprika and 1 tbsp taco sauce and pulse until combined. If the mixture seems a bit dry, add another tbsp taco sauce. When the peppers, onions and garlic are done, add them to the bean/lentil mixture and pulse a few times to combine. Form the mixture into patties* using your hands and place on the prepared baking sheet**. Bake for 25-30 minutes, flipping them over after 15 minutes. *I like to make these slider size. I find that smaller patties hold up better than large ones. But, make them whatever size you like. **You can stick the pre-baked patties into the fridge for 20-30 minutes, if you wish, to help them firm up even more. It does help a bit, but I don't feel it's completely necessary and usually skip this step if I'm short on time. Do you have a substitute for the walnuts? I have a little one with a nut allergy but would love to see if I could make this work for us. 🙂 Thanks in advance. I don’t have a food processor. I used my Vitamix dry container to get the walnuts to form the dry crumb texture. However, I used the wet container at a very low speed for a very short time for the bean mixture. What should this mixture look like when you “pulse until combined?” Are the majority of the beans whole, 1/2 mushy & 1/2 whole, or all mushy? I’m trying to avoid having too many gadgets in my kitchen, but I’m wondering if I need a food processor to create a vegan burger that isn’t mushy. Regardless, we gave the flavor a thumbs-up! Oh my word – it’s my vegan boy’s 20th birthday next Monday, this may well be the perfect offering, thank you so much! Perfect!! Who could say no to burgers on their birthday?! 🙂 I hope he loves them! Love everything about this recipe, the flavors, the photos. Can’t wait to try it! Thank you, Michelle!! I hope you love them! Taco burgers! Cookout time for sure! This looks so good I shared it on Facebook! Oh, thank you so much Greg!! You are awesome! These look so delicious!! 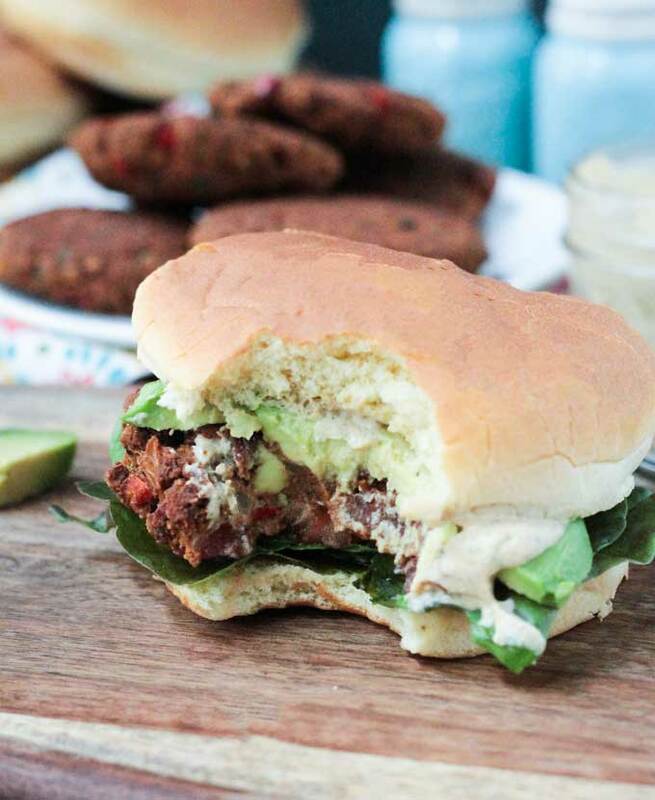 I make my Mexican burgers monthly with Mexican tahini sauce but I’m totally going to try it with your cumin ranch next time because that sounds yummy, you know how much I love your cumin ranch! P.S. I have that same wood plank and I love it! Ooh, ooh, ooh. This would make me one very happy person, especially if served with all your accompaniments. I think you’ve answered my question too about what the difference is between a slicer and a burger. I’m assuming a slider is just a smaller version of a burger? Yes, exactly. They are a smaller version. Sometimes in the U.S. they are served as appetizers. But I just like them smaller sized as an entree. 🙂 Thanks, Choclette! OMG! This is the best of both worlds!! Taco infused burgers?! Count me in! And I bet that Cumin Ranch pairs so perfectly with this. These look amazing, Jenn! Thank you, Mandy! It’s definitely a match made in heaven! Glad I could help! 🙂 Thanks, Lucie! Hope you love them! LOL! I hear ya. 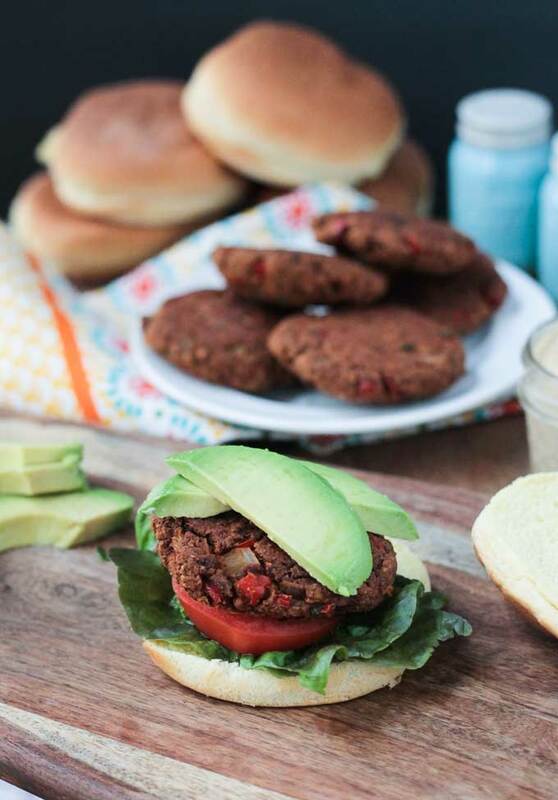 We eat veggie burgers at least once a week! Can’t go wrong! Thanks, Sophia! 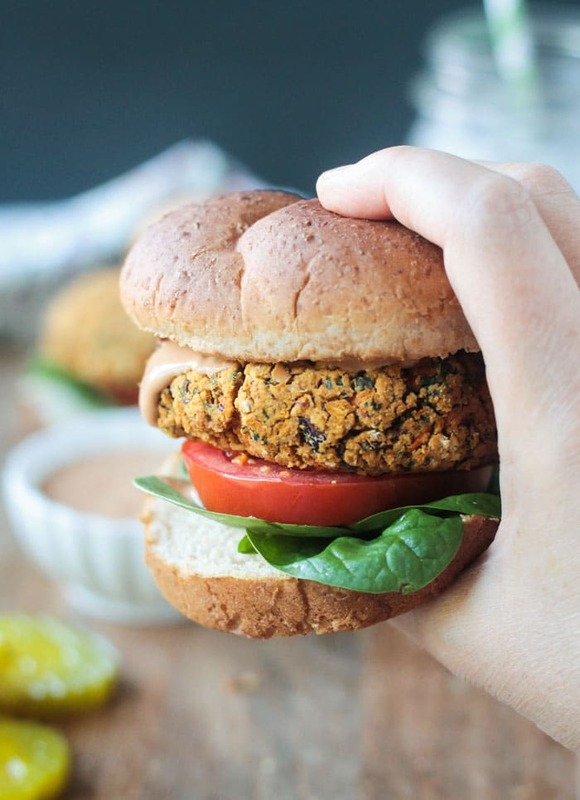 Great seasoning for these burgers, and what a great idea to combine two great ideas into one! Love the Ranch, too!! Thanks, Patricia! It’s like that ranch dressing was made for these burgers! They go so well together! I so love all the spices of tacos and what a great idea to put it in patty form with some great beans and nuts. A must try! Sounds interesting and looks delicious to me Jen! I need to try these…they sound delicious! Best of both worlds for sure! Thank you, Anjali! Let me know if you do. I bet these are addictive! I _love_ the seasonings you chose, and they look totally delicious!! I love that you put a taco and a burger in one – looks wonderful Jenn! A taco/burger hybrid? I love it. the flavours you’ve stuffed in there sound fantastic! Yes, you did just take two of the best things on earth and make them one. Genius, Jenn! I can’t wait to try this recipe. Thank you, Linda!! Enjoy! I hope you love it! Thanks, Aimee! You should make make them asap! You can’t go wrong with chips and salsa as your side kick, am I right?! Thanks, Natalie! I’d take a burger over a taco any day!! These look delish Jenn! These look amazing! Can I substitute the onion? Or maybe I’ll just put half as much…I can’t seem to bring myself to like them 😉 I’m going to make them tomorrow! Can’t wait! Hi, Christine. You can leave out the onion if you don’t like it. I think it should be fine without subbing for something else, but if you wish, you could add a little extra bell pepper or even some corn or whatever other veggie you think sounds good! Enjoy! Just a quick update. I made these and they were delicious! I subbed out corn for the onion because I’m not a fan and they turned out perfect! I wrapped them in a tortilla… yum! Oh, awesome!! Thanks for the feedback, Christine! I’m so happy to hear you loved them. I LOVE the idea of wrapping them in a tortilla….takes the Mexican theme to a whole other level! Ooh this looks so good! Oh Jenny! I could do with one now! Looks amazing! Cant you move to UK and very have daily cook off? HaHa! That sounds super fun, Hedi! And I love that you call me Jenny – that’s what my family calls me as I went my Jenny when I was young. So when I hear you say it, too, it makes me feel young at heart! Yay! Anyway, thank you – you would love this burger!